I wonder if on 16 August 2012, Lethbridge Transit will let everyone ride the bus for 5 cents? Because that's how much it would have cost to ride the streetcar when public transportation started in Lethbridge in 1912. 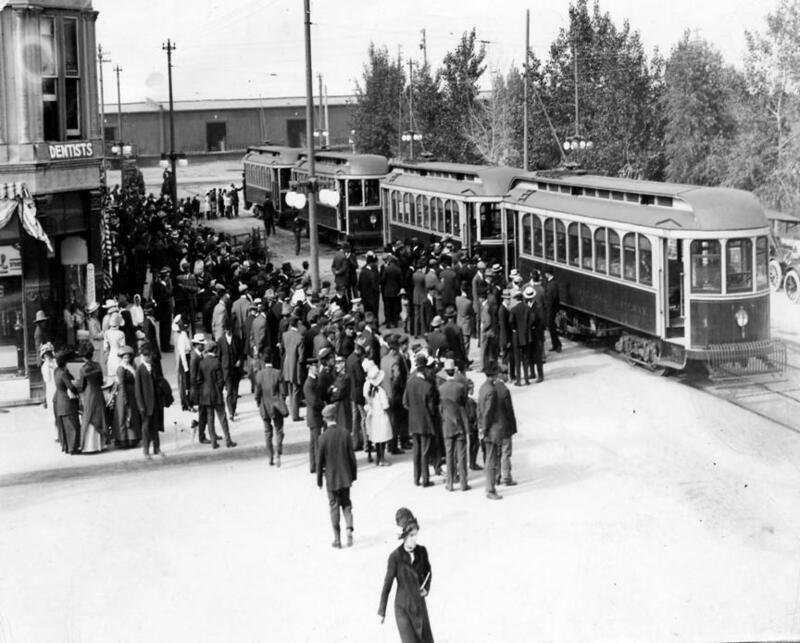 And on 16 August 2012, Lethbridge's Transit Department will be officially 100 years old. On 16 August 1912, Mayor George Hatch opened the first 11 miles (17 km) of track. The official opening coincided with the annual fair being held at the Exhibition Grounds near Henderson Lake Park. On an early trip, however, with streetcars half way to the fairgrounds, a generator burned out and brought the entire system to a halt. Fortunately, CPR trains were able to take over and transport revelers to and from the fair every half hour. 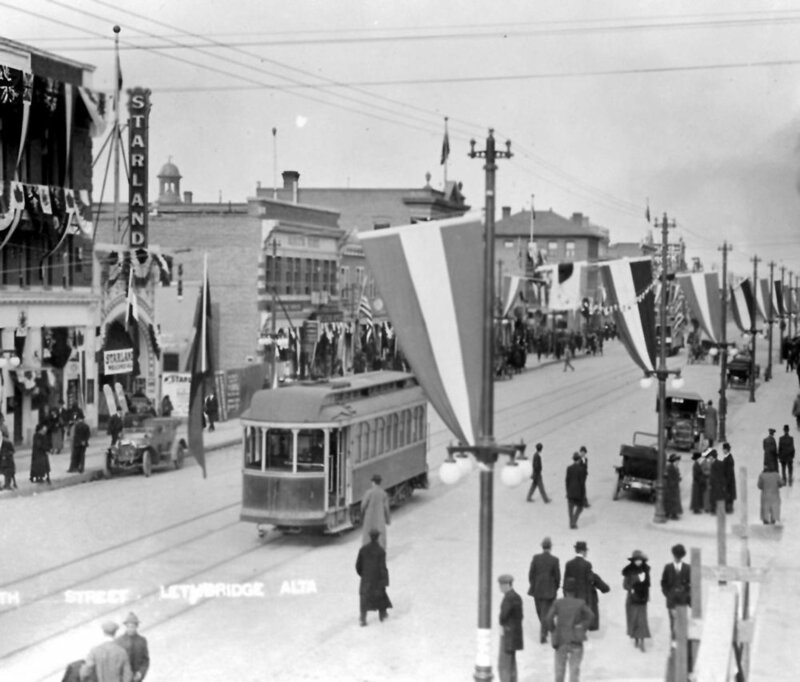 As a Lethbridge city alderman, George Hatch worked for years to construct Lethbridge's streetcar system. The initial system included five lines serving north Lethbridge, Henderson Lake Park, the southside residential district and a small downtown area. However, Lethbridge's small population could not support the large streetcar system. The economic bust of 1913 certainly didn't help matters either. And, with the large expenditures in advance of the 1912 International Dry Farming Congress, the City of Lethbridge entered a 14 year financial crisis, finally paying off its debts in the late 1920s. The line serving downtown was discontinued soon after it was built, and one of the southside residential lines was abandoned in 1917. Other cutbacks included staff reductions in 1914 followed only a few months later by dismissal of the streetcar staff, and their re-hiring at lower wages. From 1912 to 1917 each car had been operated by two men; this was reduced to a one-man operation in 1917. Though reduced in size, the streetcar system operated in Lethbridge until 1947 when it was replaced by bus service. But for 35 years, Lethbridge residents heard the family "clang-clang" of the street car.